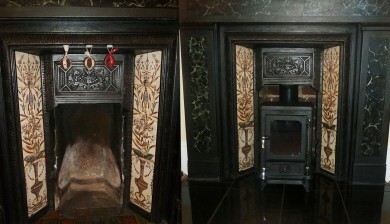 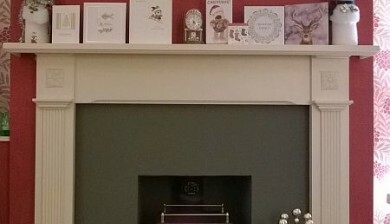 We felt passionate that we wanted to preserve our lovely fireplace. 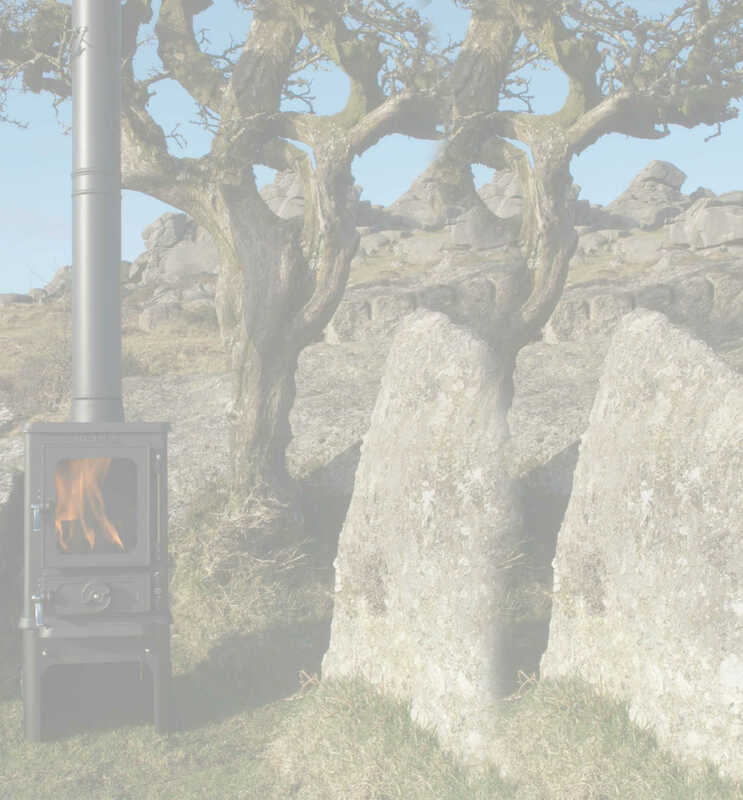 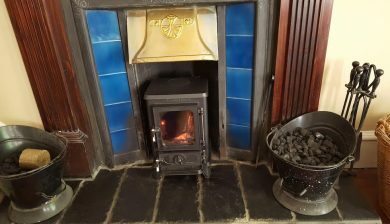 I just had a chat with Jill saying how delighted we are with our little Hobbit stove. 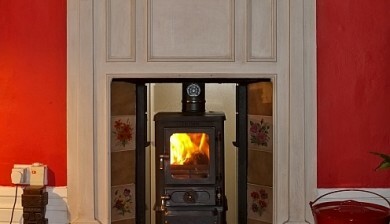 Also, to thank you both for your attention to detail and excellent customer service. 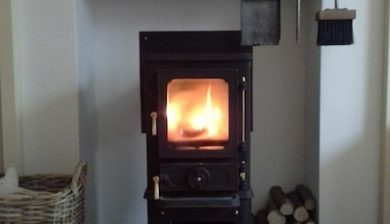 "Hi - the stove we bought from you is really starting to come into its own as the weather cools down. 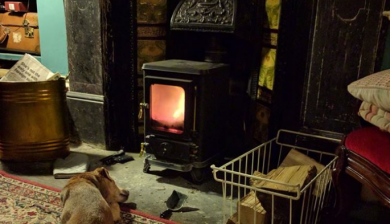 Here is a photo showing how much one of our dogs is enjoying it. 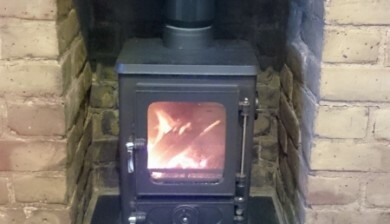 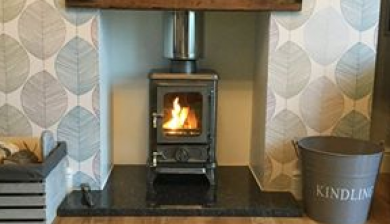 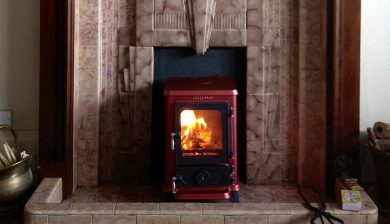 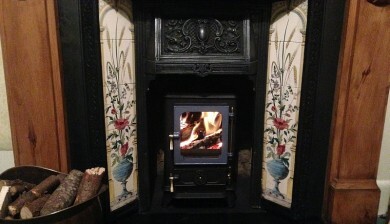 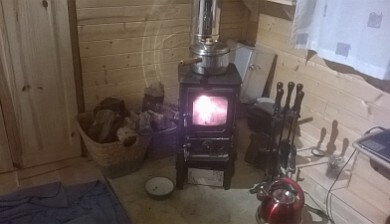 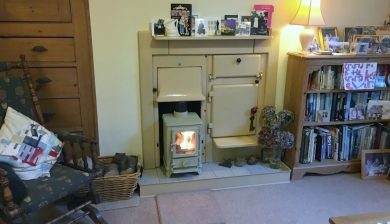 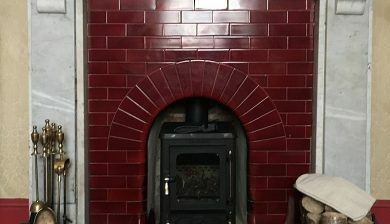 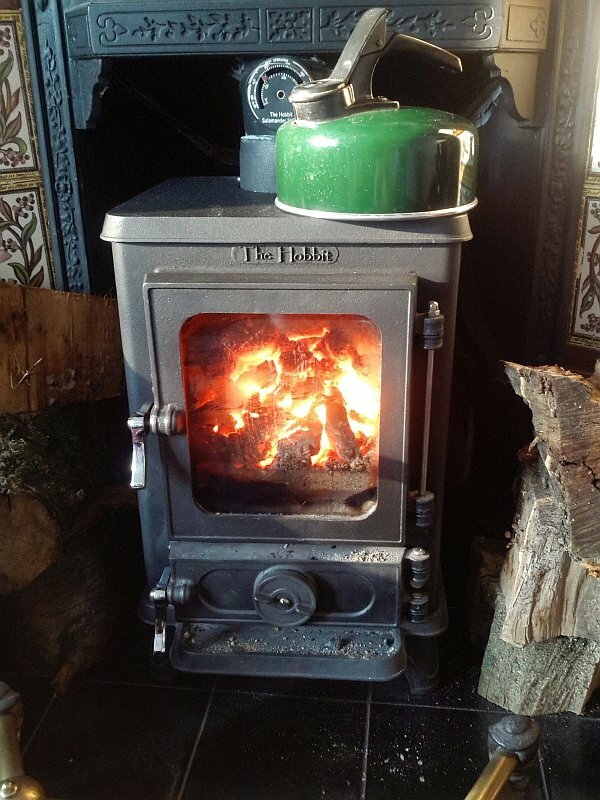 Alan"
Thank you Cheryl for a lovely pic of your recently installed Hobbit stove. 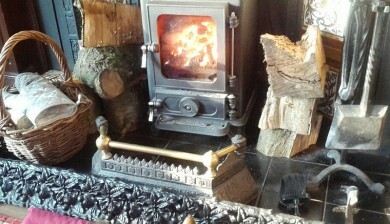 With a few cool Autumnal showers forecast for the weekend having a spot by the fire is a comforting thought. 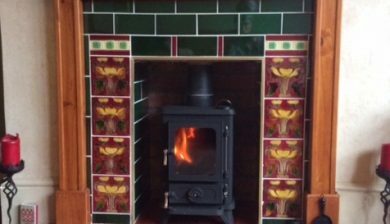 It was easy to fit with the help of your excellent 'how to' videos and we're just awaiting our 'regularisation' inspection by building control for the certification.